Administering a grant appropriately may be more challenging than creating a successful grant application. The information below provides a good resource for grant administration, internal policies, compliance, and grant administration contacts in the Harvey Mudd community. The Award and Administration Guide(AAG) (Part II of the NSF Proposal & Award Policies & Procedures Guide) sets forth NSF policies regarding the award and administration of grants and cooperative agreements and implements Office of Management and Budget (OMB) Circular A-110 and Uniform Administrative Requirements for Grants and Agreements with Institutions of Higher Education, Hospitals, and Other Non-Profit Organizations. The Grant General Conditions, Research Terms and Conditions, Cooperative Agreement Conditions and Special Conditions pages provide the full text of the terms and conditions used to manage NSF grants and cooperative agreements. Topics covered include awardee responsibilities, Federal requirements, pre-award costs, no-cost extensions, significant project changes, travel, allowable costs, project reports, final report requirements, and more. The National Institutes of Health Grants Policy Statement (NIHGPS) is intended to make available to NIH grantees, in a single document, the policy requirements that serve as the terms and conditions of NIH grant awards. This document also is designed to be useful to those interested in NIH grants by providing information about NIH—its organization, its staff, and its grants process. This version includes many links within the document as well as links to some web resources outside of this document. Users are strongly encouraged to use the on-line version of this document to benefit from these links. Title 34 of the Code of Federal Regulations (CFR), which pertains to the U.S. Department of Education and related Federal entities, is composed of several hundred parts printed in three volumes. Parts 74-99 of that title are collectively known as the Education Department General Administrative Regulations (EDGAR). These parts contain regulations for administering discretionary and formula grants awarded by the Department. There are several internal policies relating to federal grants that faculty members should know. Determining whether costs are allowable and should be charged to a federal grant or contract is important. P.I.’s may find it necessary to revise their budget for their grant or contract. Some situations require prior agency approval. When the need for transferring costs between accounts involving a federally funded grant or contract is necessary, care should be taken that any transfer of costs into or out of federally funded accounts are handled appropriately. The Institutional Review Board protects the rights and welfare of humans recruited to participate in research activities conducted under the auspices of the Claremont Graduate University and Harvey Mudd College. For more information about the Institutional Review Board (IRB), please visit the IRB website.  All faculty members and students of Harvey Mudd College have full ownership of any intellectual property that they produce during the course of their involvement with the college, except when external sponsorship of the work requires the assignment elsewhere. There are certain standards within the scientific community, which are essential to ensure the quality and integrity of research. When purchasing goods or services using federal funds, it is necessary to verify that the vendor is not suspended or debarred from receiving federal funds. Salaries on federal grants typically make up the majority of expenditures and special certifications must be completed to satisfy federal regulations. Compliance is an important subject when it comes to grant administration. Faculty will find the following compliance topics to be of particular interest. The Uniform Guidance is applicable to new and incremental Federal Awards issued on or after December 26, 2014. The College continues to follow guidance under OMB Circulars A-21 – Cost Principles for Educational Institutions, A-110 – Uniform Administrative Requirements for Grants and Agreements, and A-133 – Audits of States, Local Governments and Non-Profit Organizations, where applicable. The College had elected to defer the procurement standards of Uniform Guidance 2 CFR § 200, Subpart D, until July 1, 2018. The Catalog of Federal Domestic Assistance (CFDA) is a government-wide compendium of Federal programs, projects, services, and activities that provide assistance or benefits to the American public. It contains financial and non-financial assistance programs administered by departments and establishments of the Federal government. Faculty who have received federal assistance or are interested in applying for federal assistance should review the applicable CFDA for specific requirements of the program and related audit information. See Catalog of Federal Domestic Assistance page for more information. The Federal Travel Regulation (FTR) implements statutory requirements and Executive branch policies for travel by individuals authorized to travel at government expense. See Fly American Act for more information. The United States established export controls to protect the national security and foreign policy interests. Export controls govern the shipment, transmission, or transfer of certain regulated items, information, or software to foreign persons or entities. When export control regulations apply, the approval from the U.S. Government may be necessary. In these situations, such as when fundamental research safe harbor is unavailable, an export license must be obtained to ship or share of regulated/controlled items, information or software. See Export Controls for more information.